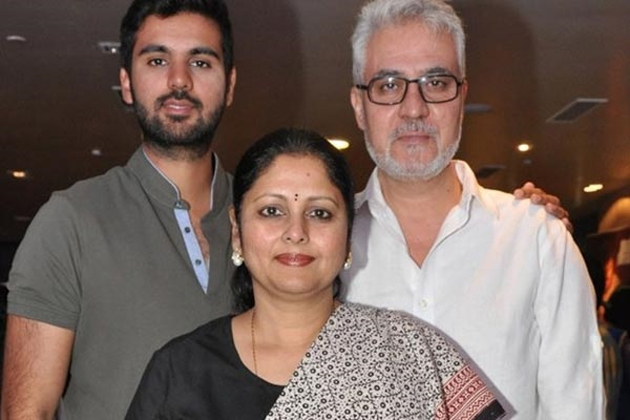 Jayasudha's Husband Nitin Kapoor committed suicide by jumping from the 6th floor of his building at 1.45 PM on Tuesday. Reportedly, Nitin Kapoor has been suffering from depression since one-and-a-half year. Today, He broke the lock of the terrace and took the extreme step. The reason behind the depression isn't known yet. Nitin Kapoor stays at his Sister's Flat located at C Glimpse in Andheri West JP Road, Mumbai. He has been using the house as his Office. Initially, Mumbai Police booked a case of suspicious death. They, however, issued a statement later clarifying that Nitin Kapoor killed self and no foul play is involved. The body has been sent for post-mortem after the completion of panchanama. Jayasudha and her two sons Nihar & Shreyan rushed to Mumbai soon after being informed about the tragic news. Hope, Gods gives enough strength for them to overcome this situation.